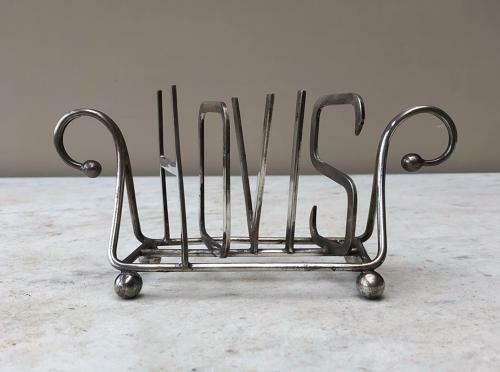 Early 20th Century Silver Plate Advertising Toast Rack. Unusual piece (I havent had one before) advertising HOVIS. Good conditio with hold six slices of toast.